Tomorrow, 8th January, the King of Rock ’n’ Roll – Elvis Presley – would be turning 84. 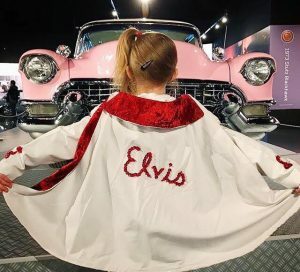 Still one of the most popular and influential musicians on the planet, Elvis’ birthday continues to be celebrated by legions of fans around the world, and no party is greater than the one hosted by his hometown of Memphis. With four days of celebrations, it’s a special time to be in Memphis, and at Graceland in particular. This year, one of Elvis’ close personal friends, Jerry Schilling, will reveal what life with Elvis was life during a series of events. A cocktail party, show and tell event, private movie screening and mansion tour, and a dinner with Jerry are all part of this year’s birthday week celebrations. An epic birthday cake will also be on display for the King’s birthday. Each year, Elvis’ birthday is a reason for celebration and travel to Memphis. 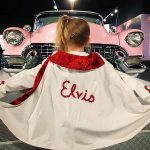 For those who haven’t planned for this year’s event, Elvis Week also takes place in August (9-17) and celebrates the music, movies, and legacy of the King.